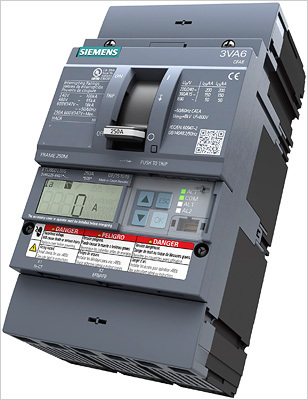 New Tech: A Complete System Designed With You In Mind - The New 3VA Molded Case Circuit Breaker From Siemens! A Complete System Designed With You In Mind - The New 3VA Molded Case Circuit Breaker From Siemens! loads from damage and failures that can be caused by disruptions, such as short circuits or overloads. They can be easily adapted to your individual needs and provide optimal support during every phase of your project. The 3VA molded case circuit breaker is more than just an individual device. In addition to a large number of basic devices, the system also comprises numerous accessories that allow it to be precisely adapted to your specific challenges. Safe: Components mitigate the risk of accidents, faults, and fires caused by electrical installations and allow consumers to utilize electrical power in a sustainable, responsible manner. Comprehensive: With a wide range of internal accessories, which can fit in any of the 3VA products, a variety of system configurations are possible. They can be adapted flexibly, quickly, and easily to individual specifications.